This week an announcement trailer for the upcoming Warhammer 40,000 Gladius Relics of War game has been released providing a quick glimpse at what you can expect from the new game. 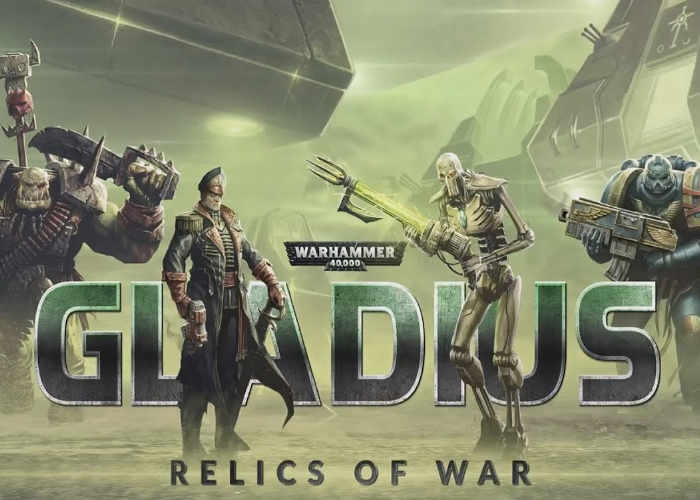 Gladius Relics of War Allows you to play as one of four iconic Warhammer factions either Astra Militarum, Space Marines, Orks or Necrons each offering their own very unique gameplay. Across a randomly generated world filled with “threatening wildlife and special features”. Players must construct cities, buildings and fortifications to expand their empire and produce an army to vanquish their foes by harvesting resources and researching new technologies to fuel and upgrade your machinery of war. Warhammer 40,000: Gladius – Relics of War brings you to a world of terror and violence. Four factions will engage in a brutal war for dominance over the planet’s resources. In the first 4X turn-based strategy game set in Warhammer 40,000 you will lead one of four factions: Astra Militarum, Space Marines, Orks and Necrons, each with their own unique gameplay, technological tree, units and heroes. Face a challenging AI or cooperate or compete with friends and strangers across the globe. Command a wide array of devastating weaponry, issue city edicts and deploy tactical operations. Recruit hero units that possess distinct special abilities and can be equipped with items, ranging from advanced grenades to mighty relics of the past. As they become more and more powerful with each rank, they turn into true champions of your cause. Progress through a different storyline with each faction as their destiny on Gladius Prime, a world tainted by the warp, unfolds. In the end, when all the dust has settled, only one faction can emerge victorious.